I wake up, burrowed in my sleeping bag, and I feel a chill on my nose and cheeks. I open my eyes and see the silhouette, on the tent, made by the moon light through the tree branches. Suddenly the hair on my arms and neck stand on end as I hear a bull elk bugle in the night. My heart rate quickens as I become excited for the days hunt. The morning is spent climbing, hiking, calling, maneuvering, circling, trying to think on a bull elks level and outsmart him. I scurry up a hill. I climb closer, hauling my gun as I maneuver over fallen trees. My heart is pounding and my breath is quick as I try to breathe the thin air. I glance over a knoll to see the bull. He is within a hundred yards from me. 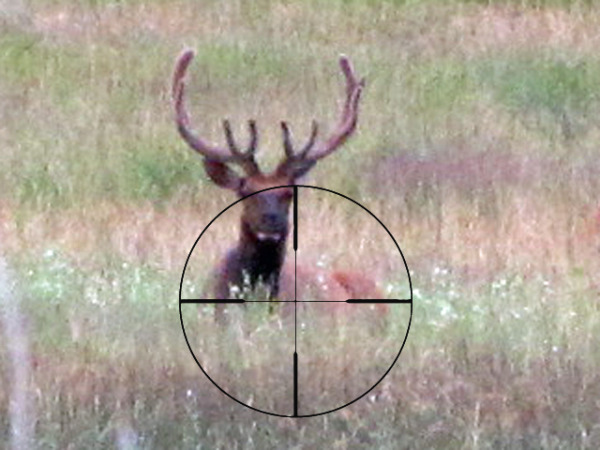 The bull elk screams a bugle that makes my already pounding heart jump in my chest. I duck behind the embankment and try to calm my breathing. Now is the time. He is within range. I have to make a good shot. There are multiple methods of breathing during a shot. The best thing to do is practice them and determine which works best for you. Once youve determined your breathing technique, practice it so it becomes instinctive when you are under pressure. Exhale & Pause - When you are in shooting position, put your cheek against the stock of the gun. Take in a deep breath. Exhale just a portion of that breath, pause briefly and pull the trigger. The pause should allow you to hold your gun barrel and sights in perfect alignment on the target at the very moment the gun fires. Inhale & Pause  Relax and practice steady breathing. Double check your shooting position. In your rythm of relaxed breathing, inhale. When your lungs are about half full, pause and pull the trigger. The inhale and pause is similar to the exhale and pause method. Your gun barrel and sights should be in perfect alignment on the target at the exact moment the gun fires. 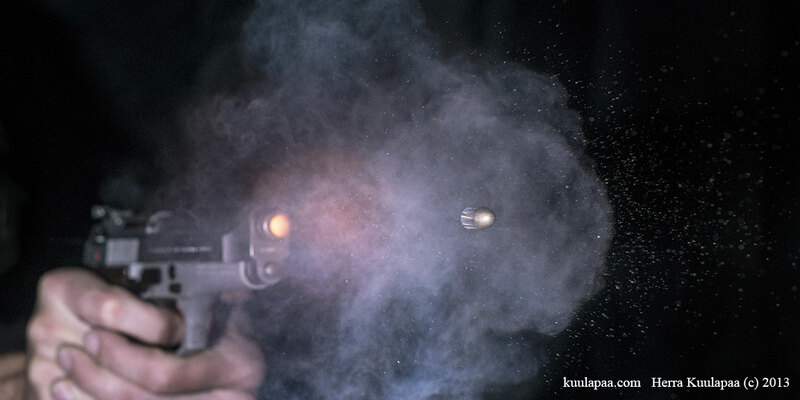 Full exhale  Make sure you are in proper shooting position. Breathe slowly to relax. Focus on your target. As you breathe naturally, and you are at complete exhale, pause when your lungs are empty and squeeze the trigger. Breathe Naturally  Breathing naturally takes the focus completely off of breathing technique. You do not pause at all. Focus on your form and your target as you breathe naturally and squeeze the trigger. Sometimes being consciously focused on breathing can increase heart rate and breathing patterns. The natural breathing technique takes the focus off and you begin to unconsciously form a habit of correct shot timing. These are basic breathing techniques. I have friends who are Olympic shooters. These elite marksmen practice a technique in which they pull their triggers in between heartbeats. These amazing athletes are extremely practiced and in tune with their shooting. Most of us can only aspire to that level of shooting control. 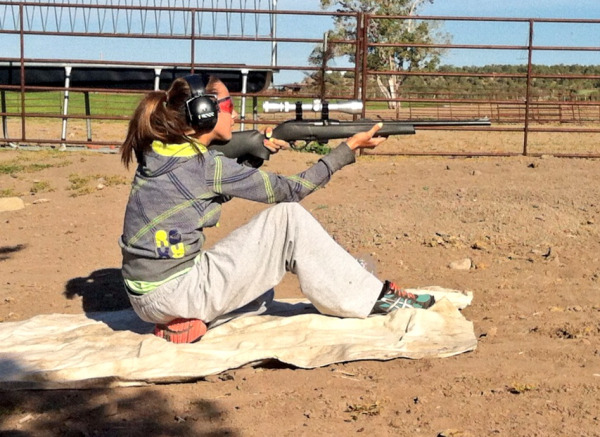 In our journey to becoming perfect shooters, we can practice shooting positions, techniques and of course, breathing.